A refined combination of 100 malt wines, graindistilat and special herbs, that is distilled twice. 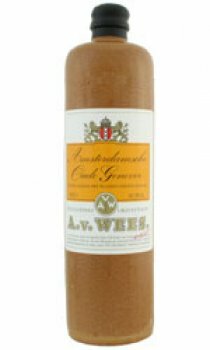 This old geneva is lightly yellow, obtained by maturing for at least 6 months in oak. A good starter to become acquainted with a good old geneva. It's tender, volumptuous and a pleasant to drink at any moment.